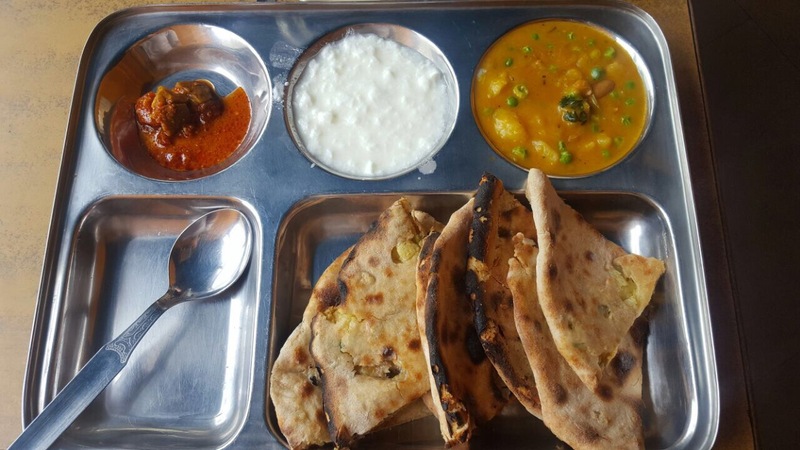 Rishikesh, India: 5 restaurants you can stomach. If traveling is not for the faint of heart then India is not faint of stomach. My thirty days in Rishikesh while studying yoga left an impression on my heart but also a dent in my stomach. The yogic diet did not fair well with the barbecue loving, macaroni feening, cornbread stuffing gal from Texas. I am also my mother’s daughter so the OCD tendencies started to kick in when I would sit down to eat. Menus were stuck to the tables with God knows what, flys would swarm and I got an eyeful of some not so pristine kitchen quarters. If you’re ever in Rishikesh, India here are five restaurants that are sort of clean, kinda good and least likely to give you “Delhi Belly”. On cheat days you can find me scarfing down a chocolate croissant and a frozen mocha. They have a great staff and amazing vegetarian dishes. 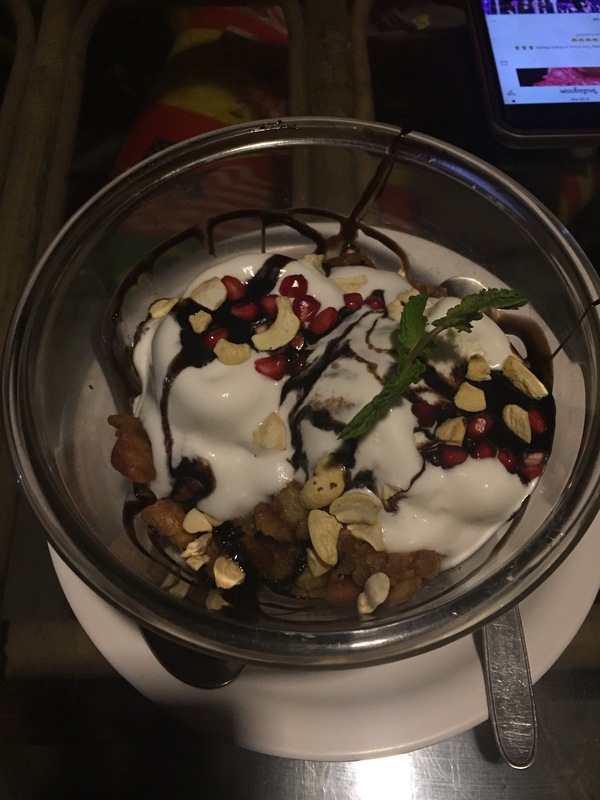 The star attraction is “Hello To The Queen”, a delicious bowl of yumminess with as ice cream, chocolate, banana crumble, pomegranate seeds and topped with whipped cream. This photo is the worse but this dessert was the best. Bow down! Yes it’s as cool as it sounds. I’d dine here mostly during the evenings. They had some of the coldest juices in town and I grew very partial to the “I love Honey” made with ginger, lemon and honey. This cool cafe has a killer view of the Ganga River, cool pictures from the 60’s displayed all over and the Beatles’ classics are playing in the background. This was the first restaurant that I dined at outside of what was provided by the school. 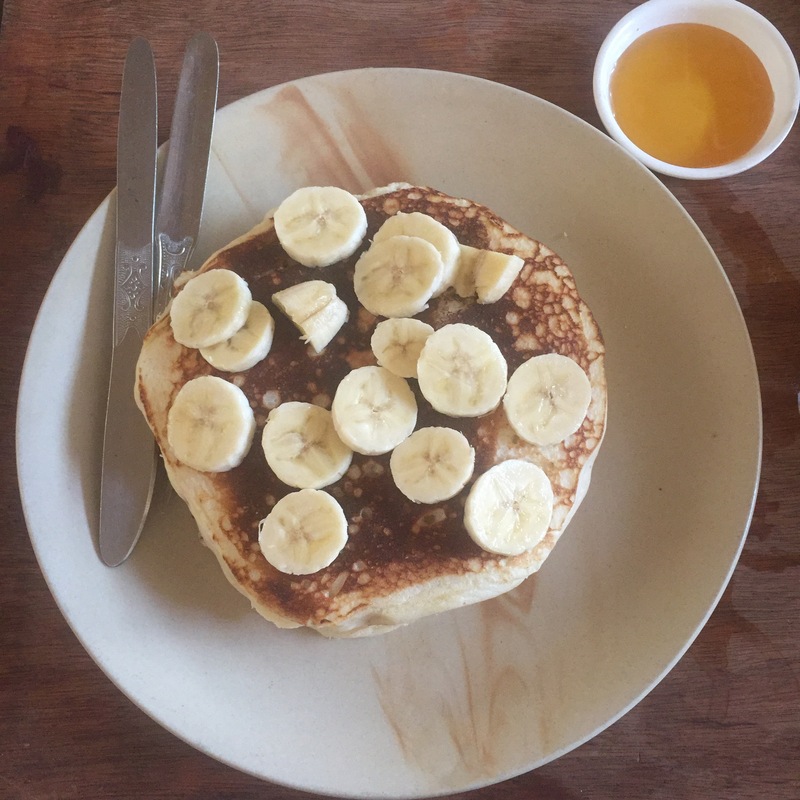 They had delicious vegan buckwheat pancakes, fresh fruit and a life jacket because they saved my life! The honey was the sweetest touch. Why did the yoga students cross the road? Because they had organic grass feed chicken! Need I say more? A small carnivorous group of students from the school walked a green mile to get to this poultry paradise. (no picture; no evidence). I made it my business to eat breakfast every morning. I’d get scrambled eggs with spinach, capsicum, and cheese. 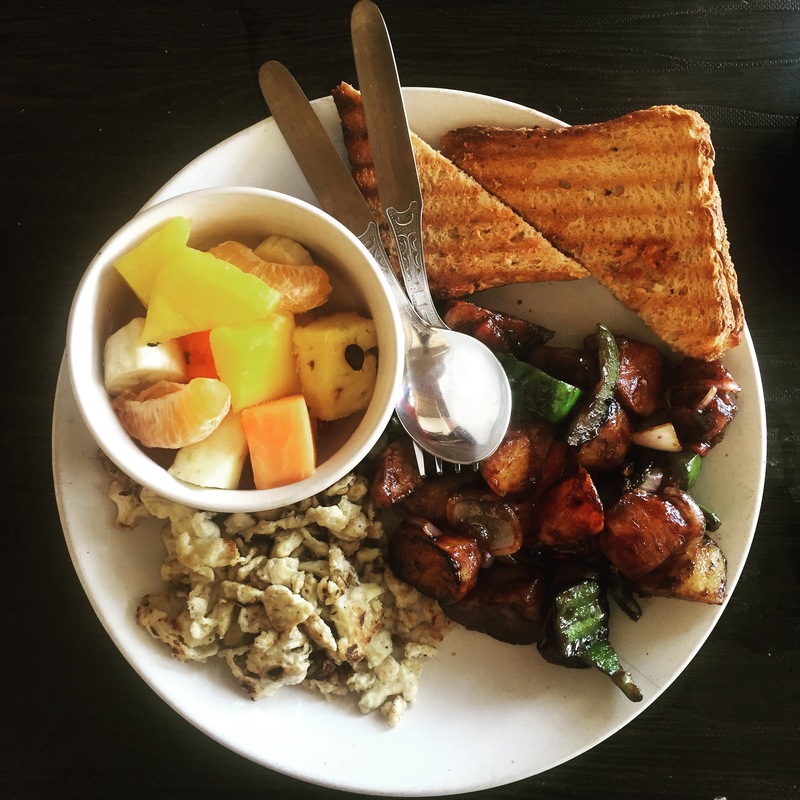 There was always a side of roasted potatoes the Indian version on hash browns and a piece of toast. During the afternoon break we would all order “lemon nana” and pretend they were cocktails. This place became the haven for many students. 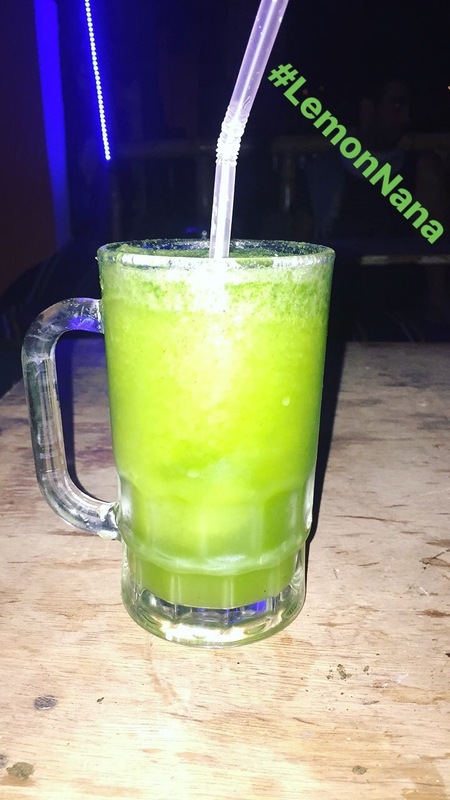 Hashtag Lemon Nana is Life! As you can imagine I slimmed down several pounds over the course of four weeks. While a yogic diet isn’t for everyone it has its benefits, please consult your taste buds before trying.